Through a mixture of lectures, case studies, and projects students will learn core concepts relating to online brand management, social media marketing, and content development. Students will gain an understanding of the role of content and social media in SEO and learn about leveraging current Internet marketing channels including social networks, blogger outreach, content networks, and more. Follow our blog to learn more about these concepts. 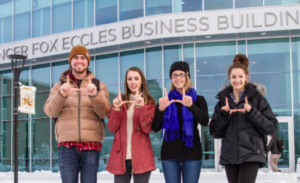 Founded in 1917 on a rich tradition of business success and leadership, the University of Utah David Eccles School of Business offers an experiential learning environment for students. We’re home to seven institutes and centers that deliver academic research and support an ecosystem of entrepreneurship, technology and innovation. The University of Utah in Salt Lake City is nestled in the foothills of the Wasatch Mountains, just 30 minutes from seven ski resorts and less than five hours from several national parks. 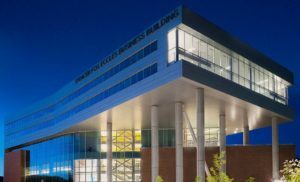 At the Eccles School of Business, there are approximately 4,500 students enrolled annually in undergraduate, graduate and executive degree programs. Our SEO class in Fall 2017 consisted of 15 students who, over the course of ten weeks, were able to come together and help a local company that has been in Utah for over four generations. 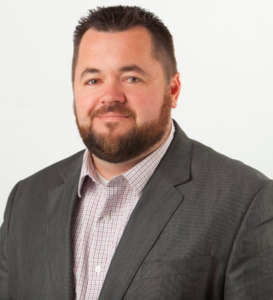 Our class did this with the primary goal of helping this organization overhaul their entire web presence so they could continue their success for the next generation. This course is not just about learning the principles–we also apply them to have a positive impact in our community.